Ben Kinsley is a multidisciplinary artist who creates site-specific responses to particular situations, often through collaboration and playful exchange with local residents. His projects have ranged from conducting an orchestra of screaming humans, directing a maritime-themed play for boaters on a lake in Maine, organizing a shadow play in the middle of the California High Desert, and choreographing a neighborhood intervention into Google Street View. Kinsley's work has been exhibited nationally and internationally in museums, galleries, and film festivals and is included in the permanent collection of the Cleveland Museum of Art. He received his BFA in 2005 from the Cleveland Institute of Art, is a 2006 alumnus of the Skowhegan School of Painting and Sculpture, and received his MFA from Carnegie Mellon University in 2008. 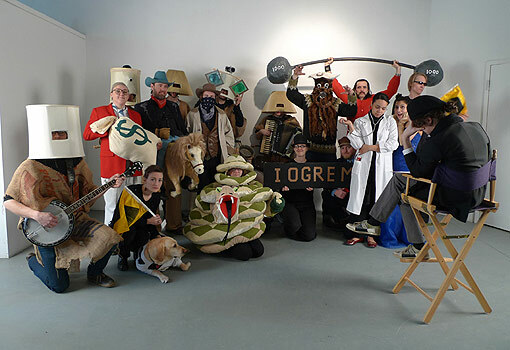 He spent the 2008-2009 academic year in Iceland participating in various artist residencies around the country. He currently resides in Cleveland, Ohio.